This summer I have been fortunate enough to attend the weddings of 4 very dear friends ❤️ and, as with any special occasion the question on every girl's lips is.... What am I going to wear???! Now initially (to save some pennies) I made the decision that I would buy two dresses and alternate for four weddings-makes sense right?! However, as is the downfall I face quite often I got far too tempted by all the gorgeous dresses in the shops! So suffice to say, I ended up,with 4 dresses, for 4 weddings! 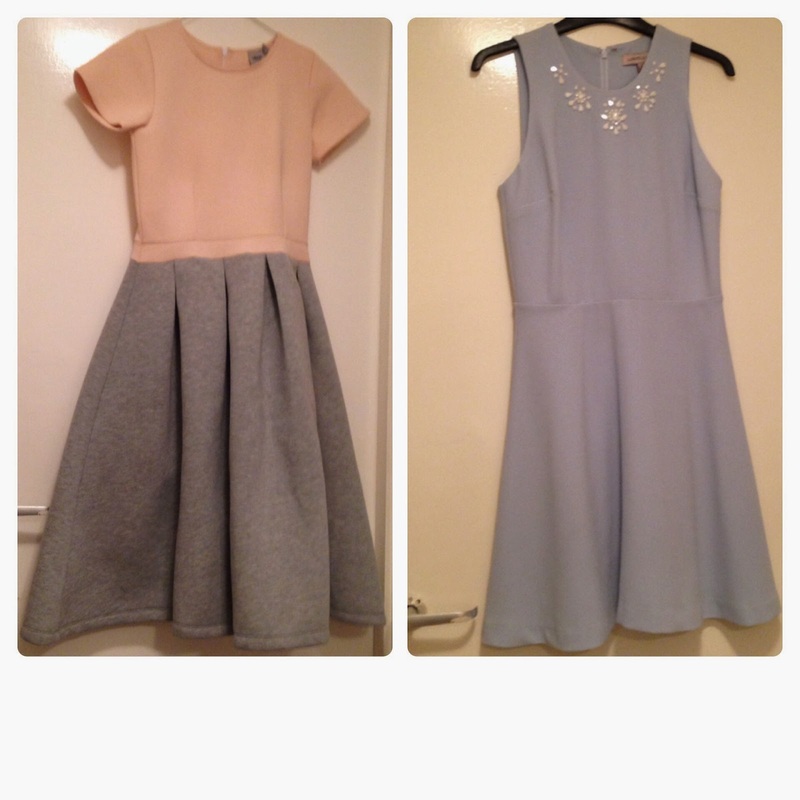 The dress on the left is from Ted Baker and was the first dress I bought! The most expensive of them all, but being able to be worn two ways (it's reversible) it was totally worth it! The dress next to it was an absolutely steal in the Topshop sale- one dress, my size, it was meant to be! As you can see from my dress choices, I was definitely a fan of the pastel fashion this summer! Finally, the pale blue dress is by Limited Collection at Marks & Spencer and was probably the most comfortable of them all! I had an incredible time at all weddings and felt great in all outfits! To see each dress in action, check out my previous posts tagged with Weddings ❤️ and read all about the magical days! The Most Interesting Character I've Met While Travelling!